App designers and developers who want the apps they’re working on to look more like Facebook’s own app now have chance with a site dedicated to the same. 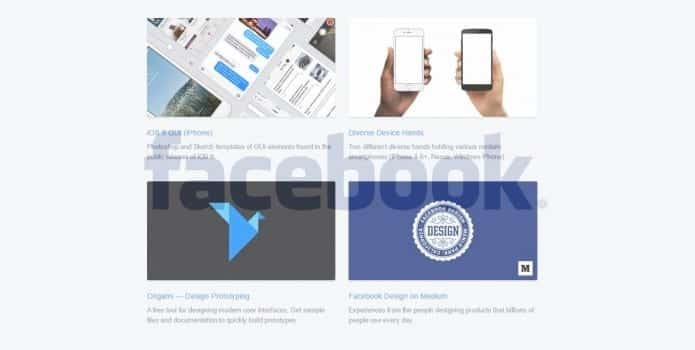 Rather than serve as an educational portal for schooling everyone in the art of design or development, Facebook has chosen to pack design.facebook.com with resources. Google and Apple already have their own set of design principles that they share with developers so they can make apps that are consistent with their respective operating systems. Facebook is taking a similar approach. Design.facebook.com is populated has all the resources that will benefit designers and developers who are keen to make the apps like they’re released by Facebook. It will also provide a repository of tools and files for users to applying on to their apps, making the process of adapting apps to Facebook’s design guidelines much easier. As of now resources on design.facebook.com is still limited considering the fact that Facebook has just opened it.